Forgotten Hollywood » Blog Archive » “Forgotten Hollywood”- Shirley Jones Freefalls to 80! 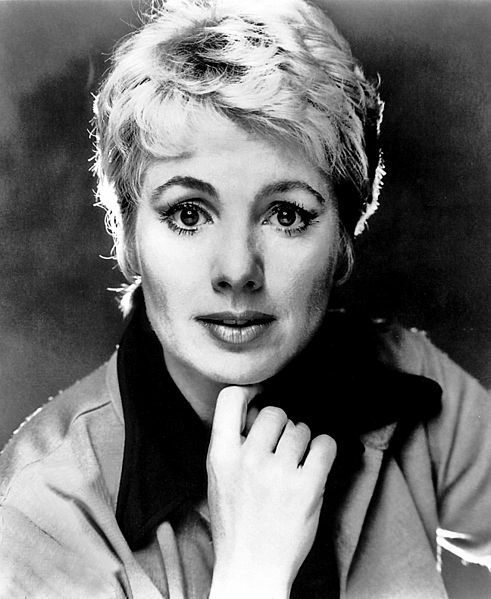 “Forgotten Hollywood”- Shirley Jones Freefalls to 80! She will be jumping in tandem with an instructor in Perris, a popular Southern California skydiving spot, according to her husband, comedian Marty Ingels. He was taken aback when she suggested the idea, but, Marty has since come around. Her children… not so much. Her biggest opponent is Shaun Cassidy. She understands her sons’ concerns, especially since she has arthritis. Family members, including twelve grandchildren, are planning a big party on Sunday. She’s also welcoming a friend she’s known since they were in third grade back in a small town in Pennsylvania. The clan plan on staying for the jump, which scares her less than turning 80. Jones, who starred in television’s The Partridge Family in the 1970s, gained fame with the motion picture versions of Broadway musicals, The Music Man, Oklahoma!, and Carousel. She won an Academy Award for the 1960 drama Elmer Gantry. This entry was posted on Saturday, March 29th, 2014 at 12:10 pm	and is filed under Blog by Manny Pacheco. You can follow any comments to this post through the RSS 2.0 feed. Responses are currently closed, but you can trackback from your own site.